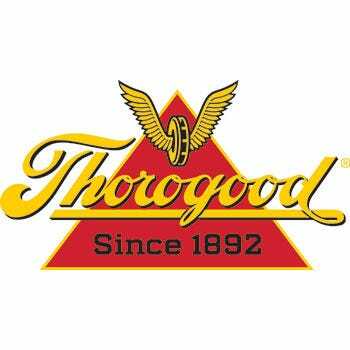 Thorogood Boots was founded in the 1880’s in Milwaukee, Wisconsin. This cobbler shop’s original purpose was to produce exceptional quality linemen boots for electricians. However, over the past 124 years, the Thorogood brand has drastically expanded to provide the ideal work boot for any working person's needs. Some of which include, policemen, firemen, postal and military commando boots. Manufactured at the Winebrenner Shoe Company factories in Merrill and Marshfield, which is known for its innovative footwear and exceptional comfort and safety, these boots are designed to protect and serve. Constructed with lace-free, lace-up, with zippers or without, this footwear offers you the ideal customizable fit. In addition to the high or low cut military boots, they also come in a handsome oxford shoe style.The possibilities are endless in these Thorogood boots! Order your pair online today from the Working Person’s store.